Stones tests :weathering of natural building stones,durability of natural building stones, water absorption and porosity, determination of true specific gravity,compressive strength To know the suitability of building stones for meeting the specific requirements of different Engineering works the following few tests of stones may be performed. 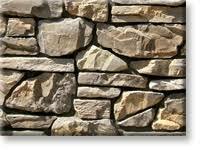 The tests of stones listed below meet the requirements of various relevant Indian Standard Codes. For subjecting a particular grade of stones to a specific tests of stones a truly representative sample of the grade of stones is to be taken. To satisfy IS requirements a sample shall be selected from quarried stone or from natural rock. In case of quarries the face of stone shall be inspected to observe difference in colour and structure of various strata. Separate samples, weighing at least 25 kg each shall be collected from all the differing stratas. Test pieces for toughness or compressive strength tests shall be not smaller than 10.O × 12.5 × 7.5 cm in size and shall be free from seams or fractures. Pieces damaged by blasting shall be excluded. In case of field stones and boulders sepa­rate samples shall be selected of all classes of stones based on visual inspection. Stones tests for weathering of natural building stones. The test pieces shall be representative of the true average of the type and grade of the stone under consideration and shall be either cylinders, 5 cm in diameter and 5 cm high or 5 cm cubes. These test pieces shall be finished smooth and the edge shall be rounded to a radius of approximately 0.3.cm by,grinding. Three such test pieces shall be dried in a well ventilated oven for 24 hours at 105+5°C and cooled in a desiccator to room temperature of 20 to 30º C.
Let the weight of a cooled and dried test piece weighed to the nearest 0.01 grain be W1. Let W2 be the weight of the specimen while totally immersed and free suspended in water after it has been kept under water at 20 to 30°C for 24 hours. Let W2 be the weight of the specimen after it has been removed from water and its surface wiped with damp cloth (the weighing is completed within three minutes of its removal from water). Each specimen is now placed in a flat dish of glass or porcelain or stone ware. In the dishes is placed a solution of 25 ml of water and 2 gm of powdered gypsum. The dishes containing the specimen are kept in a well ventilated oven at 105+ 2°C for at least five hours or till the water has evaporated. The dishes are now removed from the oven and cooled to 25+5°C to complete the first cycle. The cycle is now repeated 29 times more except that only 25 ml water is now added to each dish for each subsequent cycle. When 30 cycles are completed, the specimen are cleaned by brushing with a stiff wire brush to remove any particles of gypsum adhering to the surface. Each specimen is kept under water for 24 hours, taken out, surface dried and weighed, first in air (W4) and then immersed in water and freely suspended (W5). where A1 = Original absorption of the specimen on 24 hours immer­sion in water, expressed as percentage. A2= Final absorption of the specimen after 30 cycles of the test expressed as percentage by weight. V1= Original volume of the specimen after 24 hours immer­sion in water. V2= Final volume of the specimen after 30 cycles of the test. d-Density of water at the temperature of observation. For details refer to IS: 1125-1974. Stones tests for durability of natural building stones. At least three test pieces, each 50 mm cubes or 50 mm dia cylinders of 50 mm height shall he dried for 24 hours and weighed (W1). The test pieces are then suspended -in a saturated solution of sodium sulphate decahydrate for 18 hours at room temperature 20 to 30°C. These are then air dried for 30 minutes and then left to dry for four hours in an oven at 105+5ºC. These are then cooled to room temperature (20 to 30ºC) to complete one cycle. The cycle is repeated to complete 30 turns. Test pieces are weighed after every fifth cycle to know the change in weight due to disintegration. The test pieces shall be weighed after they are thoroughly freed of the sodium sulphate solution by repeated washing. Weight W2 at the end of 30 cycles is noted. Average for all the three test pieces is taken as durability value of the specimen. The above analysis is based on IS: 1126–1974. Stones tests for water absorption and porosity. Test pieces shall be crushed and the material passing through 20 mm IS sieve shall be washed to remove dust particles and about 1 kg shall he immersed in distilled water in a glass vessel at room temperature of 20 to 30°C for 24 hours. At the beginning and the end of the soaking period entrapped air shall be removed by quick rotational motions in clock-wise and anti-clockwise direction. The test pieces are then taken out of the water, placed on a dry cloth and gently surface dried with the cloth till the cloth removes no further moisture. The test pieces are then spread one stone deep on another cloth and left exposed to atmosphere in a shade for ten minutes by when. they appear com­pletely surface dry. Weight of the sample (W1) is then recorded. The sample is then put in a 1000 ml capacity glass measuring cylinder and distilled water added to it by 100 ml capacity measuring cylinder. Care is taken to remove the entrapped air. Water is added to the cylinder containing the sample till it reaches 100 ml mark. The quantity of water added is thus recorded in ml or in gram weight (W2). The sample is then taken out of the cylinder and dried in an oven at 100 to 110ºC for at least 24 hours, then cooled in a desiecator to room temperature one the weight (W2) recorded. All weight of samples are in grams and the results are the average of tests on three sampler. The above tests are based on IS: 1124 -1974. Stones tests for determination of true specific gravity. Crush 0.5kg of thoroughly washed specimen to 3 mm size particles, thoroughly mix and make samples of 50 gram each. Each sample is ground in an agate mortar to such fineness that it passes I50 micron IS sieve. All magnetic materials introduced in crushing or grinding are removed with the help of magnets. The sample is dried at105 to 110ºC, cooled in a desiccator and weighed in a weighing bottle. The specific gravity bottle is cleaned, washed and dried to constant weight at 105 to 110ºC, cooled in a desiccator and weighed (W1) in an analytical balance. Average of results obtained from three different samples is taken as the result. The test is based on IS : 1122-l 974. Stones tests for compressive strength. Test pieces made out of samples shall he in the form of cubes or cylinders whose height shall be equal to the lateral dimension which shall not be less than 50 mm. The load bearing surface shall be finished to as nearly true, parallel and perpendicular planes as possible by using mechanical devices. The dimensions of the faces loaded shall be measured to the nearest 0.2 mm. The test pieces shall be kept immersed in water at 20 to 30°C for 72 hours and thereafter tested in saturated condition. The test pieces shall also be dried in an oven at 105 + 5°C for 24 hours and cooled in a desiccator to room temperature of 20 to 30°C and tested dry. In applying the test the load shall be gradually increased @ 14O kg/cm2 per minute until the resistance of the test piece breaks down. The maximum load applied to the test piece divided by the area of the bearing face of the specimen is taken as the compressive strength of the specimen. The test is based on IS : 1121-1974.